We are going to build a simple web scraper that is able to extract the title and url from the top 10 Google search results for any given term. 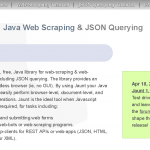 To build our scraper we use Java and the Jsoup library. We use Java in this example to show that it can be really simple to write a web scraper with this language. Most people think of Java with a lot of configuration and complexity compared to something like NodeJs. We have to hover over the elements we are interested in and analyse the html structure. In the screenshot we can see the outer div#res container that contains all the results. So the value we want to have is located at the a tag inside the h3. 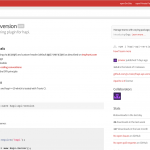 As usual you can find a running Maven project on Github.